Klei is a studio that has produced some very impressive games since they've been around. The studio just passed their 10 year anniversary and to celebrate, they're putting their whole line-up on sale and letting you try it free this weekend. 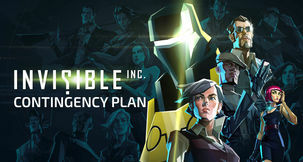 Klei Entertainment hit a winner with their turned based espionage strategy game, Invisible Inc., and today they finally announced a release date for the upcoming Contingency Plan DLC. It will be coming to Steam on November 12th, next week. 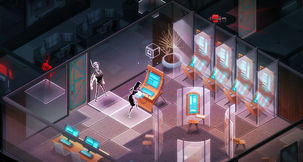 An announcement for Invisible, Inc. has snuck up on us from Klei Entertainment, as the tactical stealth game will be giving Early Access the slip on May 12th and fully releasing. Now we've got a date, no one can buy it. That's right, Klei has disabled Early Access purchasing because they want new players to have "the best experience possible, rather than play the interim build." They've been 'vague' on the changes coming. Stealth 'em up Invisible Inc has just received its fourth Early Access update, adding two new characters, Nika and Dr. Xu, as well as cybernetic enhancements and a raft of minor changes. Nika is a weapons expert who can handle two-handed guns like rifles and shotguns, while Dr. Xu is an expert hacker who possesses the very useful ability to hack terminals through walls. 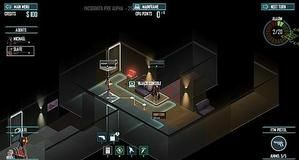 Intriguing turn-based stealth game Invisible, Inc. is coming to Steam Early Access this August 19, and to give people an idea what they're in for developer Klei Entertainment has released a new gameplay trailer. You control a group of spies, each with their own unique specialisations, who infiltrate corporate strongholds for cash, secrets and possibly just because it's fun.